I’ve had a hankering for mushroom gravy for a few weeks. 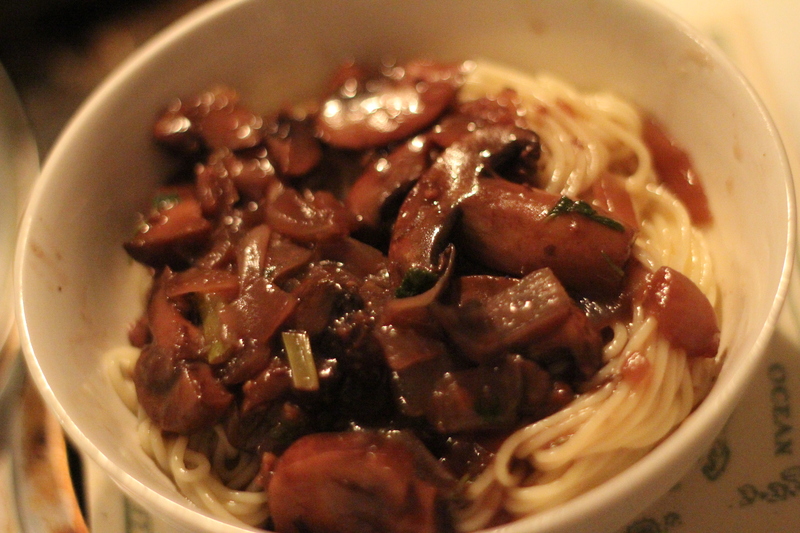 I haven’t been set on what the gravy would adorn, but just craved the tangy, salty fungi flavored sauce. I looked first for the Knorr packages – an easy enough fix to the situation. But the first store I searched didn’t carry gravy in mushroom, which started me thinking about a made-from-scratch version. Jump forward to today and a recipe from Epicurious. I made a half portion….and the verdict is: Yum! To model the first batch, I made some angel hair pasta. Highly recommended! This entry was posted in cooking and tagged gravy, mushroom. Bookmark the permalink.